When I ordered my Nikon F5 and F100 SLRs from KEH.com I decided to get a couple of point-and-shoots, too. I got this Lite Touch Zoom 130ED and this vintage Zoom Touch 400. The Lite Touch is newer, introduced in 2002, but it's made in China. 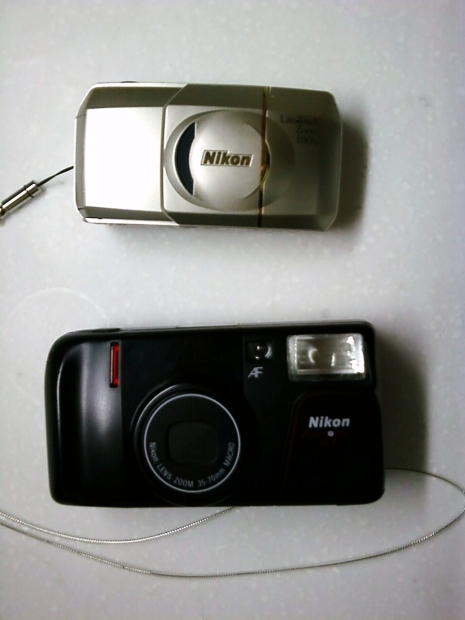 The Zoom Touch is a 1990 model also known as the Nikon TW Zoom 35-70, and it's made in Japan. JJang!! I can't wait to see the photos from them.